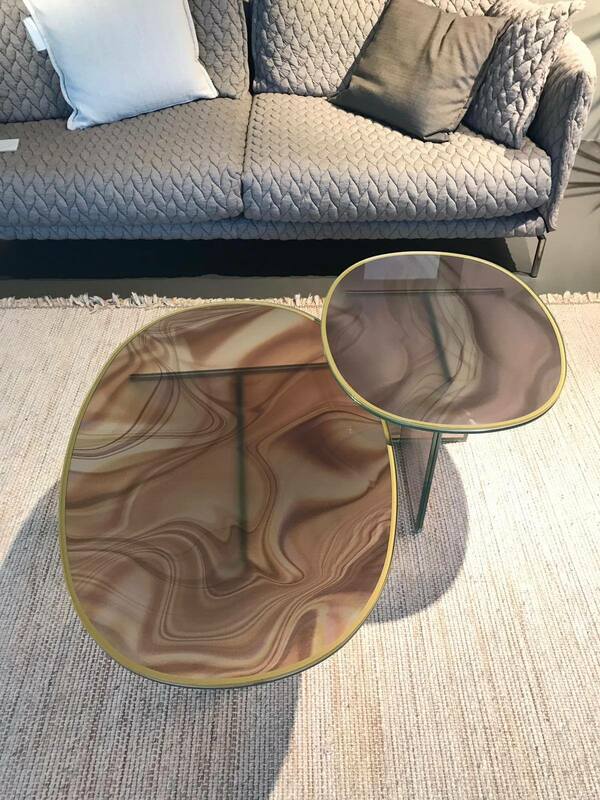 COLLECTOR: tables and elegant exhibitors to show and at the same time protect the most precious objects we are most fond of. 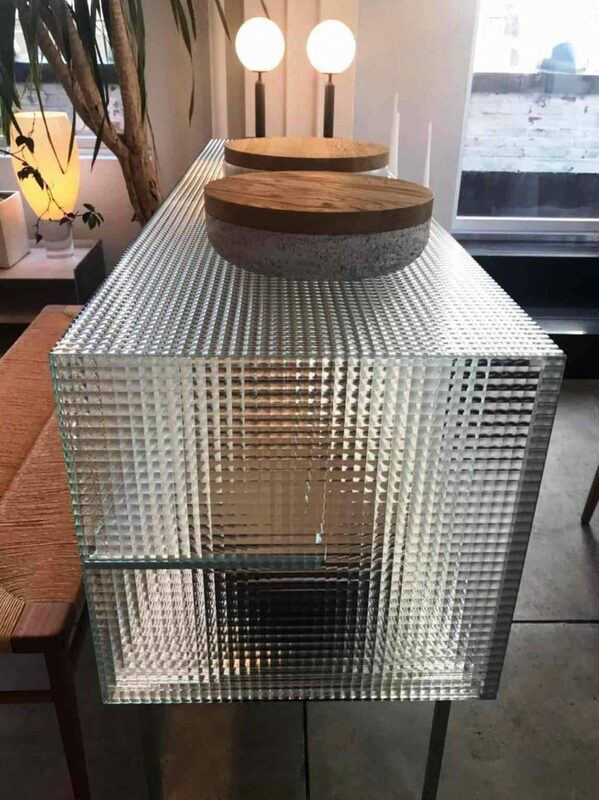 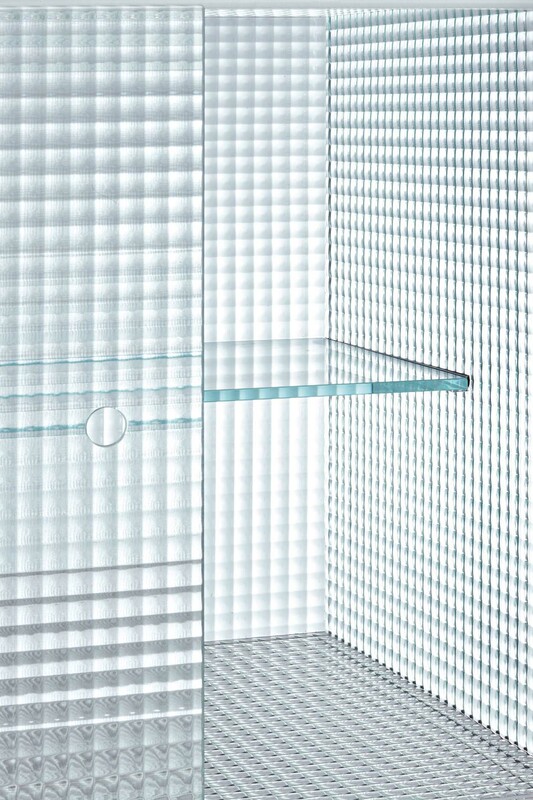 In transparent extralight glass and with a mirror or wooden top. 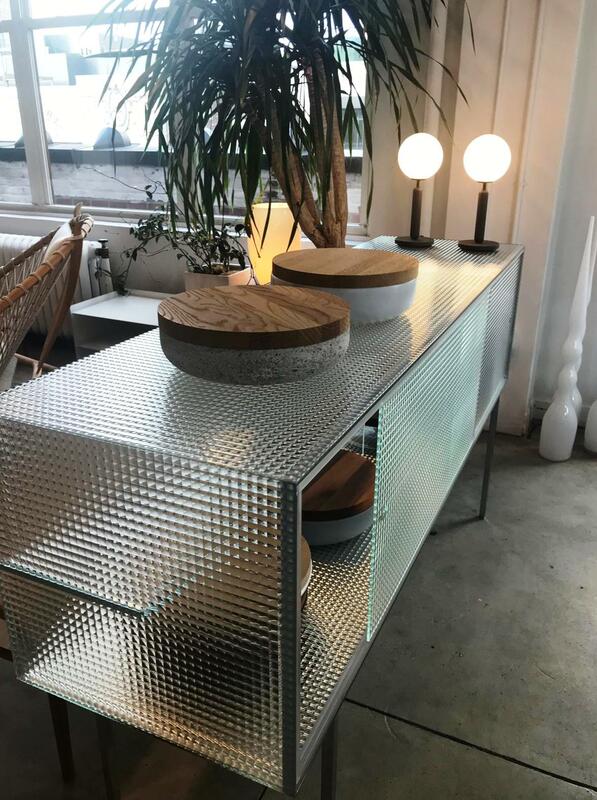 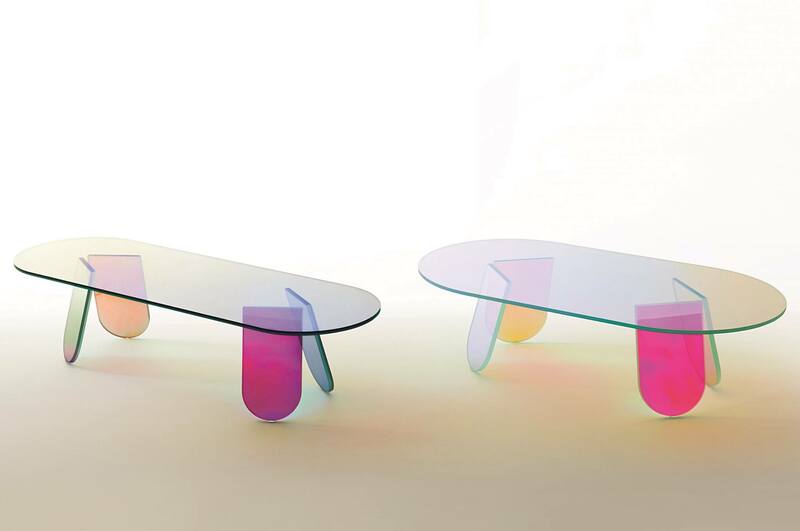 In transparent extralight glass with mirrored base or wood base. 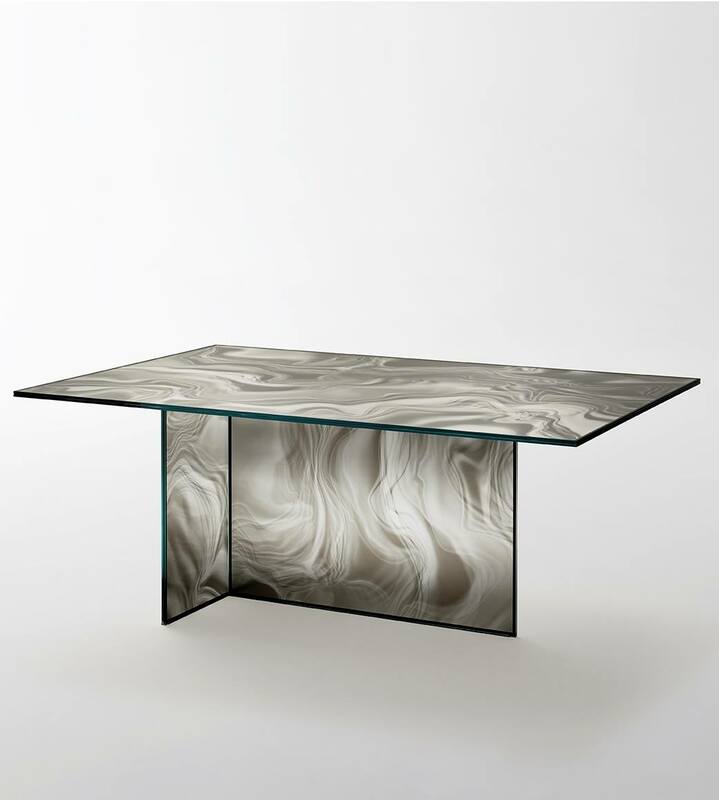 Tables and console in transparent extralight tempered glass, with a veined and organic decoration, which incorporates the colors and textures of the marble. 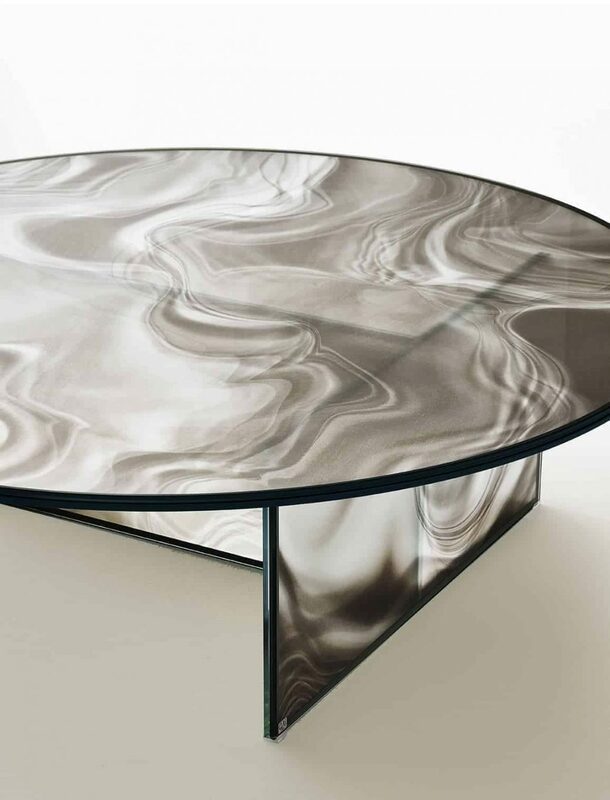 Thanks to a surprising effect of image change, the veins appear to be dynamic and variable, as the observation point moves. 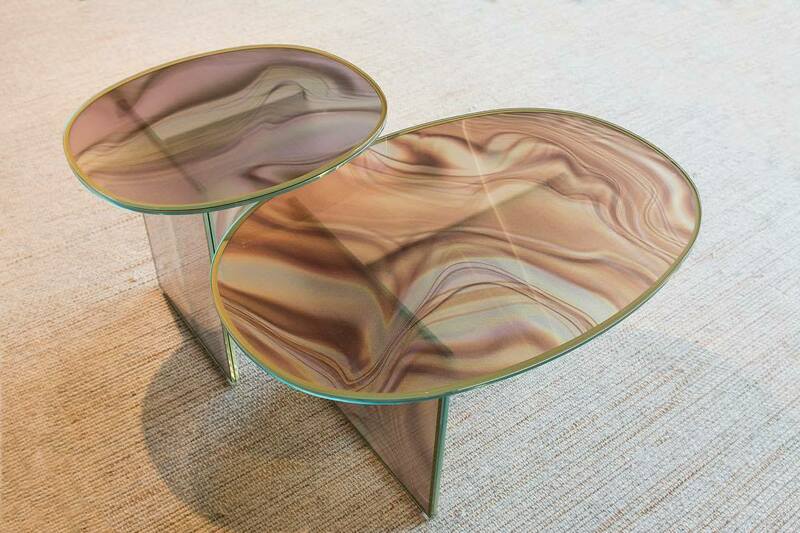 In four different colors: green, pink-beige, whiskey and gray-anthracite. 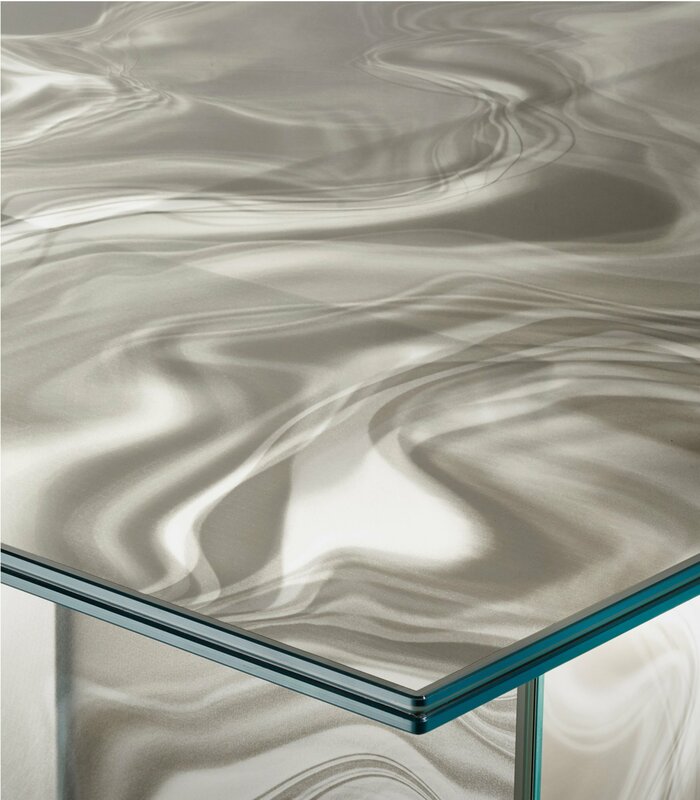 LIQUEFY, design by Patricia Urquiola. 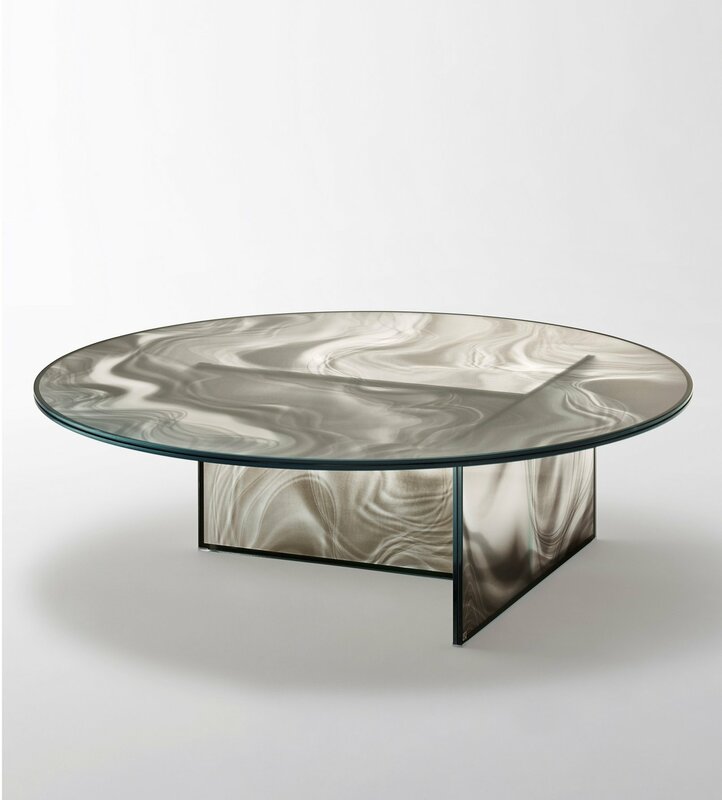 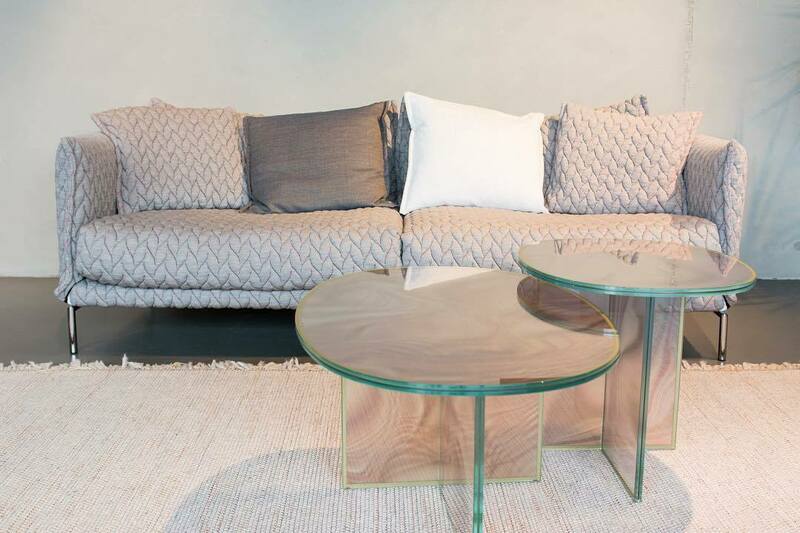 The LIQUEFY oval coffee tables designed by Patricia Urquiola in the whiskey + gray-anthracite color variation: a soft palette with a great decorative impact and a finish that incorporates the colors and textures of the marble. 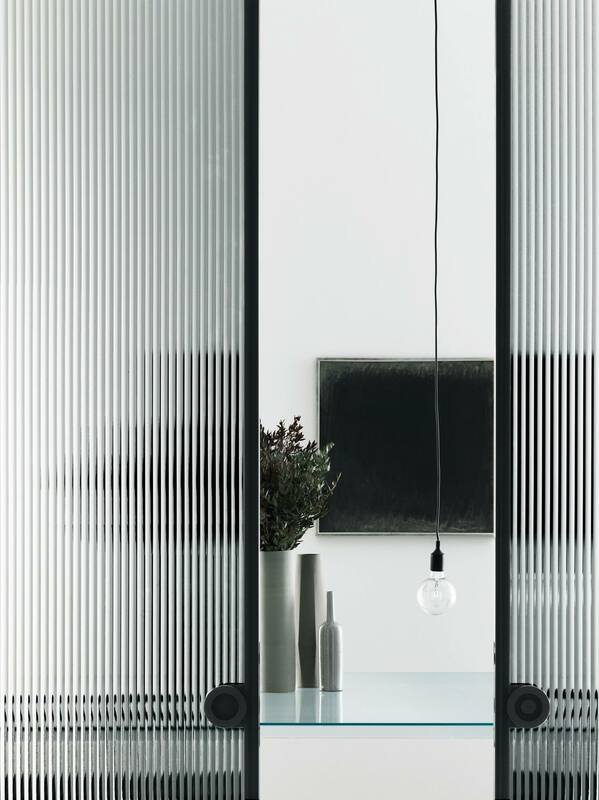 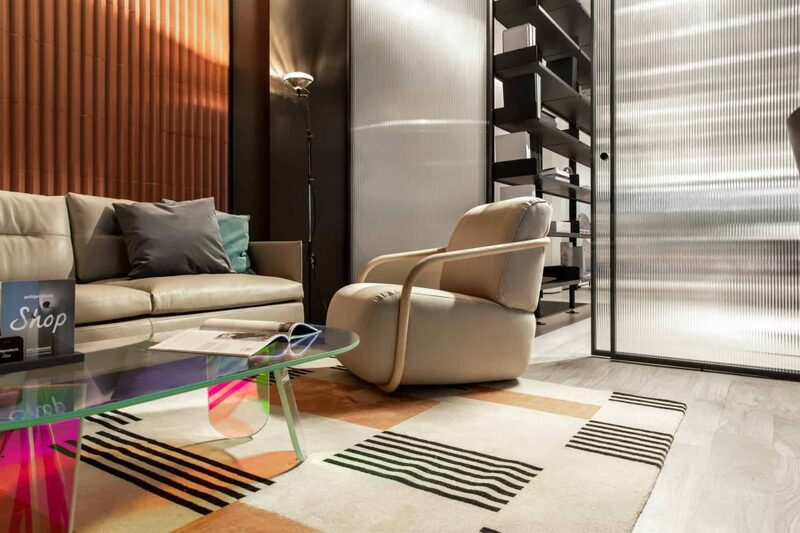 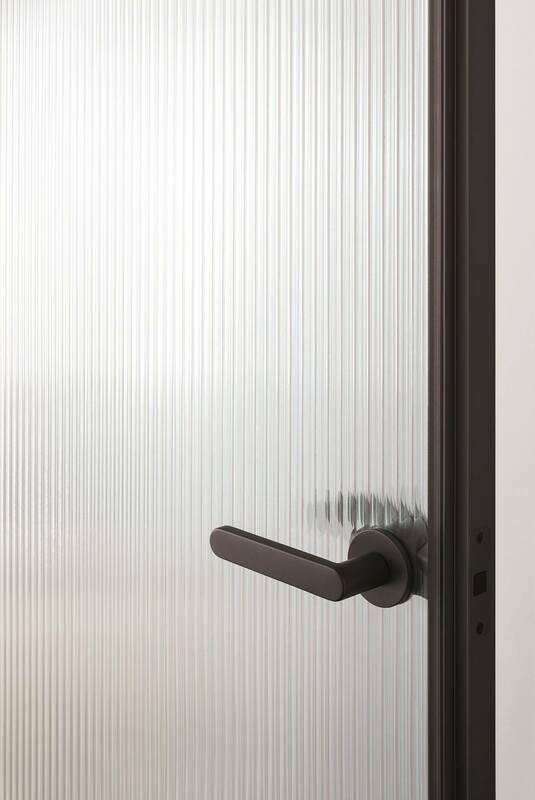 ALADIN sliding door in patterned glass "Flutes"
Piero Lissoni's "COMMODORE" storage unit uses striped and checked printed glass, with mirror lacquered details. 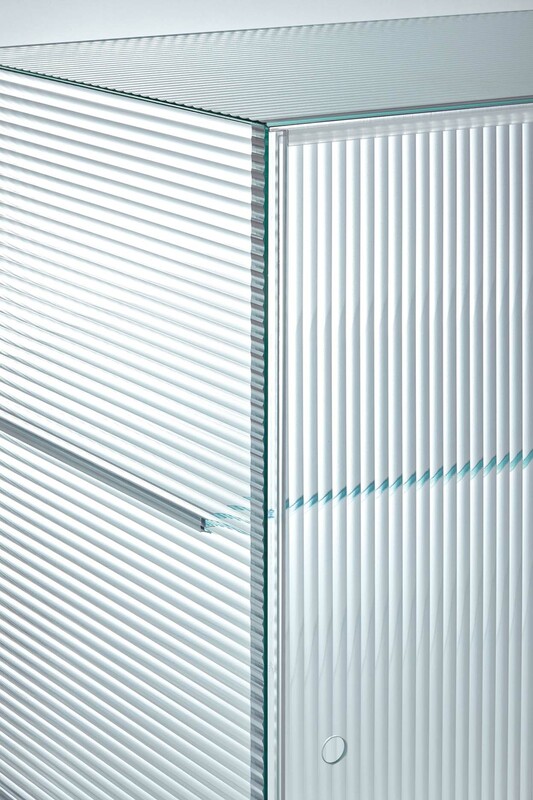 The sliding doors run in plexiglass tracks, to reveal extralight shelves inside. 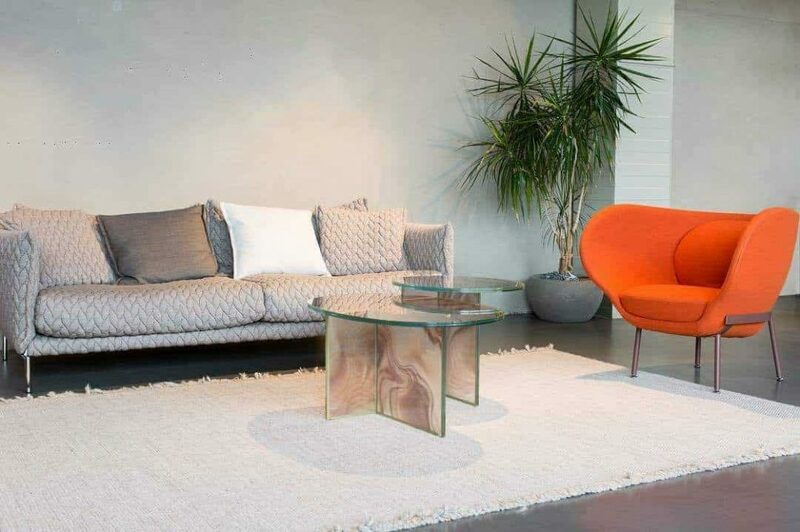 The simplicity of design and the classic elegance perfectly in line with the designer's signature style.